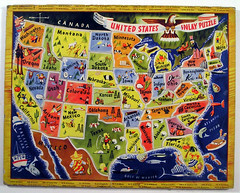 Thanks for the images wsilver and griffhome. Here at Camp Weequahic, we spend a lot of time in the Fall and Winter seasons traveling around the country to meet with future campers. We schedule home visits where you are, to come and meet your child and answer any questions your family has. Families usually contact us anywhere from a month to a week out from where we are headed (you can find out our current schedule here and gather anyone else who might be interested to meet. 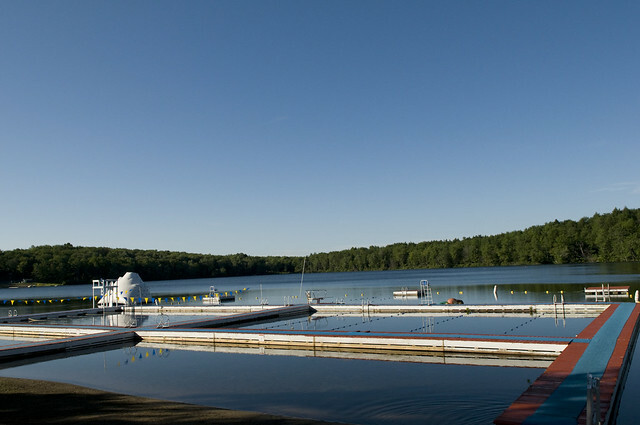 If you’ve been following this blog for a while, you know that we’ve focused a lot on how much fun kids have at camp — learning new sports; spending time with friends old and new; going on amazing trips; connecting with friends and counselors. 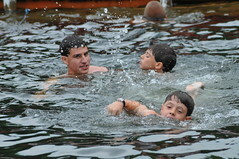 But camp is also an educational experience for the children. We’re so used to education being “school” that it’s a real shift in perception to see lacrosse, tennis, living in a bunk, and other camp activities as education; but educational activities they are, as many parents can attest now their kids are back in school! 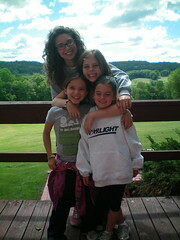 As you can see, summer camp is one of the most precious educational gifts you can give your children. If you would like to read more, check out The Experiential Classroom: Camp by Marla Coleman in The American Camping Association’s Camping magazine. We’d also like to hear what you believe summer camp has taught you and your children! Please feel free to share in the comments section below. …pause time as much as possible, to make every memory that much better, and to get know as many of the staff as possible! 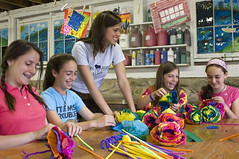 Every day at summer camp is exciting and busy, but every camper can’t help but look forward to those special camp events and traditions that are unique to each camp. I still have vivid memories of our camp talent show and the wonderful skit our staff put together using a sheet, a bright flash light and their own shadows. 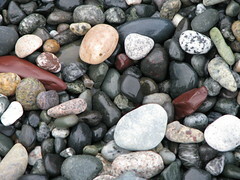 It took place thirty years ago, but it still brings a smile to my face, and that one memory triggers a hundred others. The AFSC family of camps each have their own special camp traditions that bring the entire camp together for friendly competition, unique bonding activities, wonderful gourmet treats, and a chance to show off talents and teamwork. 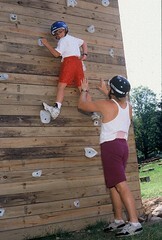 Camp Laurel’s Quest is a tradition that goes back 60 years. During the first week of summer, campers are divided into 18 different teams and they compete in fun and zany activities all day long. The winners are treated to a gourmet Chinese dinner at the home of directors Jem and Debbie. We usually think of big all-camp activities happening at the end of the summer, but Quest brings campers together within days of their arrival, kicking off a summer of friendship and bonding. Laurel also hosts College Days and Lobster and Steak/Final Ceremony. College Days (which lasts five days!) 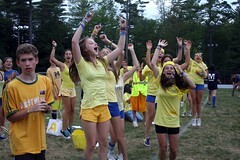 is Laurel’s answer to the camp color war and includes spirit, fun, games, tug ‘o war, swim meets, track meets, staff competitions, Apache relays, silent meals, treasure hunts, dance competitions and much more. Laurel finishes camp with a flourish by hosting a meal with lobster direct from the sea. After all, who could come to camp in Maine and not love lobster? The campers finish their summer with speeches, traditional songs and a night sleeping under the stars. Laurel South’s activities may have traditional names, but they go above and beyond the same old, same old. Every summer begins with an Opening Ceremony that includes a Keeper of the Flame, who delivers the first spark of fire to each summer. Four weeks later the flame is extinguished, until next year, when everyone joins together again for another incredible summer. During this very special ceremony, each cabin performs a song or skit highlighting memories of the summer gone by. 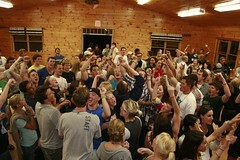 At Starlight, campers look forward to MTV Night, one of the biggest lip-synch competitions anywhere! Throughout the course of the summer each bunk comes up with, practices and performs a live music video to compete within their division for a chance to make it to this big night. Twenty acts make it to the finals and the entire camp comes together to watch on the magical outdoor stage. At the end of the night, the winning bunk/act is presented with a trophy and a pizza party! 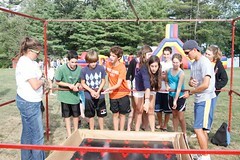 Every camp has a take on the camp stand-by, the color war, and at Camp Weequahic, that event is Tribals, which takes place at the end of the first session. The campers are divided into four teams, each representing the four classic elements: earth, wind, fire and water. 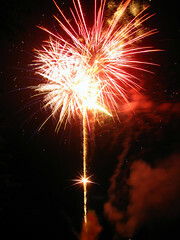 The previous summer’s winning team keeps the same name (i.e., Seneca) while the other three teams have new names. The events include everything from athletics to spirit events. 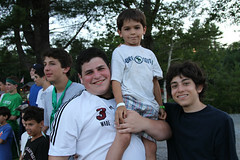 Other events campers look forward to are Ms. Weequahic – our girl’s dress up male counselors who then put on a talent (or lack thereo)f show; Ron Dagan has been performing at Weequahic for over 20 years; enjoying different evening activities that we’ve created over the years: Weequahic Goldrush, Grenades, Panic, and others. Special events are the memory-makers of summer camp, and whichever camp you decide to send your children to, their staff, counselors and bunkmates will come together in friendships that will last a lifetime! The AFSC family of camps each have their own special camp traditions that bring the entire camp together for friendly competition, unique bonding activities, wonderful gourmet treats, and a chance to show off talents and teamwork. Here’s a quick summary of each for you but be sure to check out the Camp web sites linked here! 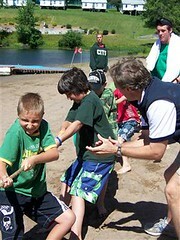 Camp Laurel’s Quest is a tradition that goes back 60 years. During the first week of summer, campers are divided into 18 different teams and they compete in fun and zany activities all day long. The winners are treated to a gourmet Chinese dinner at the home of directors Jem and Debbie. We usually think of big all-camp activities happening at the end of the summer, but Quest brings campers together within days of their arrival, kicking off a summer of friendship and bonding, gathering force as the camp progresses. Laurel also hosts College Days and Lobster and Steak Banquet. College Days (which lasts five days!) is Laurel’s answer to the camp color war and includes spirit, fun, games, tug ‘o war, swim meets, track meets, staff competitions, Apache relays, silent meals, treasure hunts, dance competitions and much more. 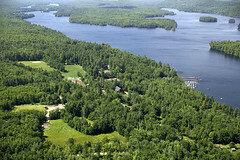 Laurel then finishes camp with a flourish by hosting a meal with lobster direct from the sea. 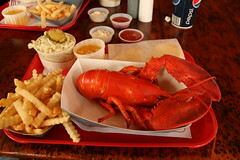 After all, who could come to camp in Maine and not love lobster? The campers finish their summer with speeches, traditional songs and a night sleeping under the stars. 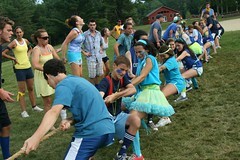 As we said earlier, every camp has a take on the camp stand-by, the color war, and at Camp Weequahic, that event is Tribals, which takes place at the end of the first session. The campers are divided into four teams, each representing the four classic elements: earth, wind, fire and water. The previous summer’s winning team keeps the same name (i.e., Seneca) while the other three teams have new names. The events include everything from athletics to spirit events. 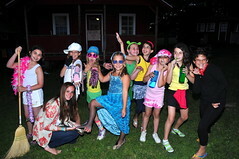 Other events campers can look forward to are Ms. Weequahic – girls dress up male counselors who then put on a talent (or lack thereof) show; Ron Dagan has been performing at Weequahic for over 20 years; and enjoying different evening activities created over the years: Weequahic Goldrush, Panic, and others. Such special events are the memory-makers of summer camp, and whichever camp you decide to send your children to, their staff, counselors and bunkmates will come together in friendships that will last a lifetime! By now you probably have a pretty good idea about what life is like for campers at summer camps, but there is an entirely different world behind the scenes of summer — the life of a camp counselor. Imagine a job where you can make new friends, participate in fun summer activities and have unique opportunities for personal growth and development. Indeed, being a camp counselor might just be “the last throwback job.” It’s intense, it’s 24-7, and there are few jobs like it for young adults. While counselors have fun and get to participate in camp activities, they also have a tremendous amount of responsibility. “I learned to be a leader as a camp counselor,” Disney CEO Michael Eisner told Charlie Rose in a 2005 interview. 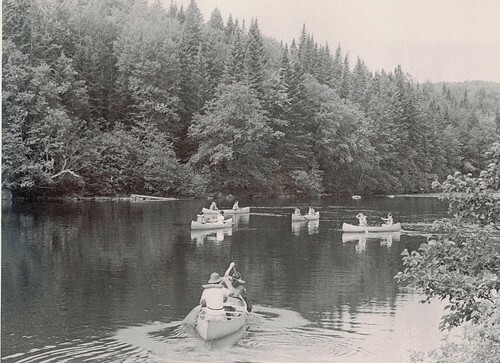 In his memoir, simply titled Camp, Eisner reminisces about his many summers as a camper and then counselor. In the corporate world, Eisner says, no one is willing to give you real responsibility until you are in your 30s or even in your 40s. At camp, that opportunity comes much earlier and the payoff is huge. Knee began his camping career as a camper 14 years ago. 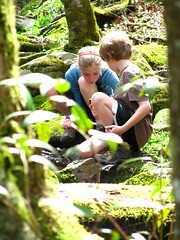 He is now the person responsible for building the counselor-in-transition program – grooming the eldest campers to be the counselors of tomorrow. Regardless of what camp your child attends, if they are interested in one day being a counselor, they will probably need to complete some sort of transition program like the one David runs at Starlight. Starlight’s program takes two years and after this training, CAs are eligible for staff positions. 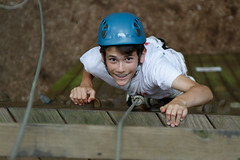 Camp Starlight’s “Counselor Apprentices” are usually 15 or 16 years old, and they receive specialized training as well as mentoring from current counselors, whom they shadow. “They are observing and instructing at the same time,” Knee says of the CA’s dual role as trainee and counselor. An important part of the CA training program is letting the CAs see the “backstage process” of camp, Knee says. 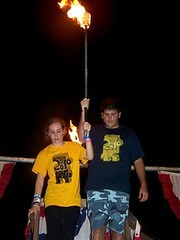 Even campers who have attended the same camp for years don’t see all the hard work it takes to make camp great. So Starlight’s program begins right after campers’ “senior summer” at camp and includes a bus trip down the California coast just after visiting day for the group. Through such transition programs and experiences, counselors can grow and flourish in the leadership roles they are given and prove themselves capable before and during high school, not just after they graduate. But the lessons learned at camp also provide excellent tie-ins to other careers that involve working with children, including teaching, coaching, and social work; not to mention careers in business, management and administration. 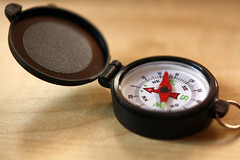 Being a counselor demands highly refined interpersonal, time management and training skills — assets for any career and in any profession. Take a look around – you might be surprised how many former counselors are in your world!